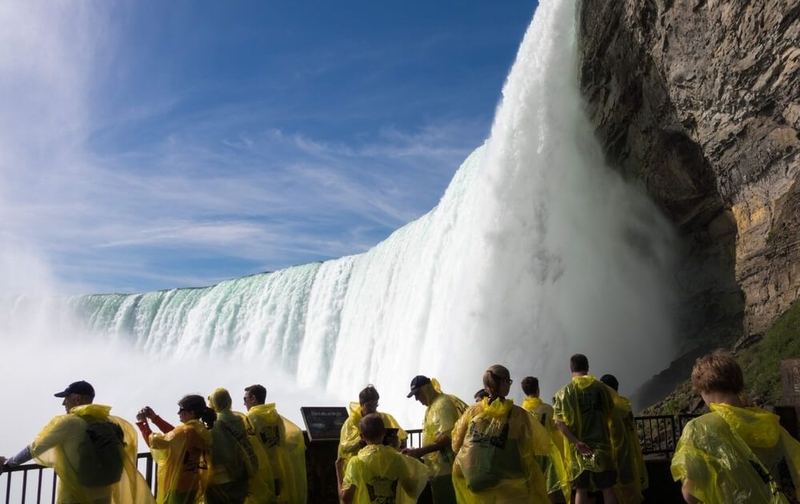 Private Niagara Falls tours from Toronto. Tours operate all year (subject to availability). Tour itinerary can be adjusted based on request. This is a one day private Niagara Falls tour. Travel in either a small van, a mini bus, a bus or a coach depending on the size of your group. Visit all of the major sights and attractions in Niagara Falls. 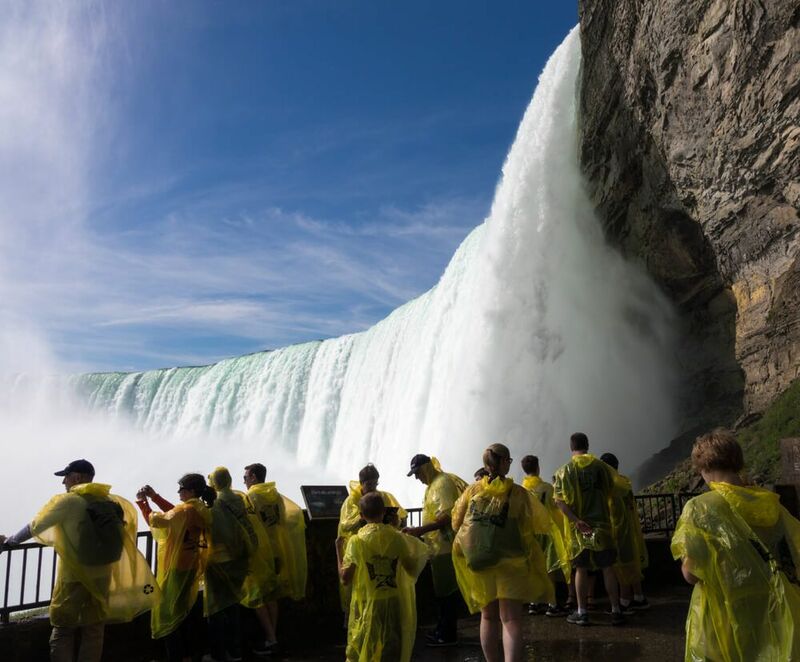 Includes free time to explore Niagara Falls and participate in activities like the Hornblower Boat Ride, Journey Behind the Falls, lunch at the Sheraton Fallsview Buffet overlooking the falls, and other options. Please let us know which activities you would like to include in your tour when booking. 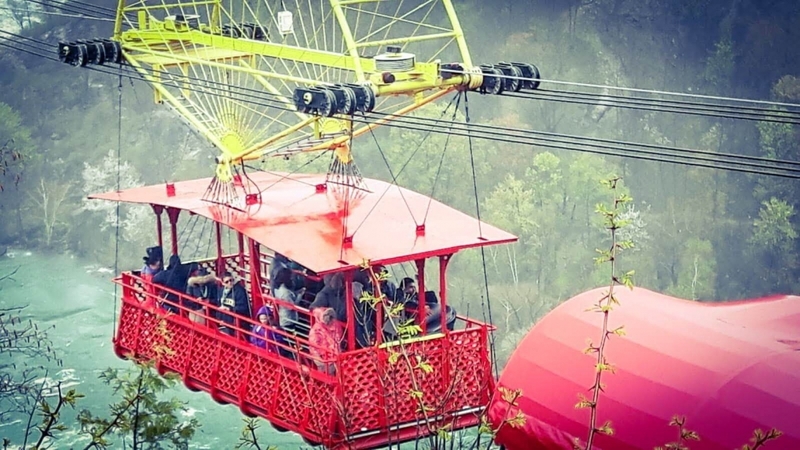 Typically guests opt for the Hornblower Boat ride (summer), Journey Behind the Falls (winter) and the Fallsview Buffet Lunch overlooking the Falls. Pick up at your desired time from Toronto or a nearby location. Niagara Falls: Free time to view the sights and participate in an activity or two. 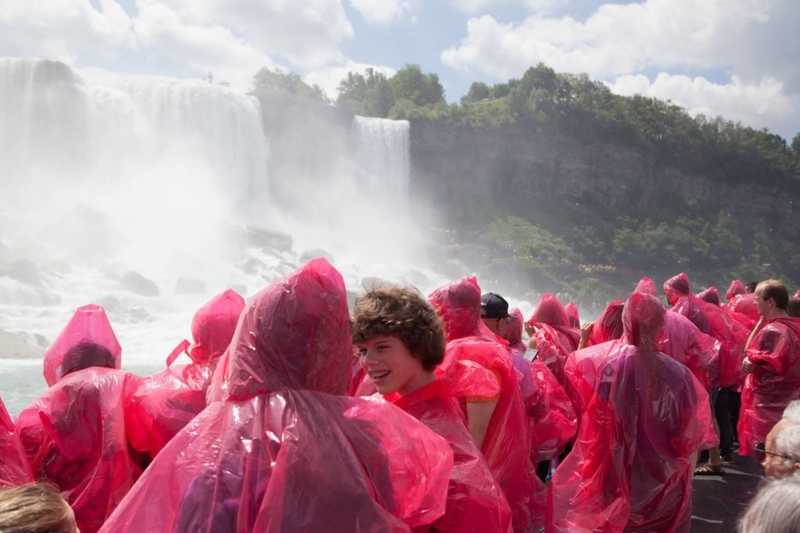 The most popular attractions are the Hornblower boat ride, Skylon Tower and Journey Behind the Falls. Please let us know your preference when booking. Lunch – optional to include in the tour. We recommend lunch at the Sheraton Fallsview buffet overlooking the Falls. Please let us know if you want this included when booking. Whirlpool Rapids: Sightseeing and photo opportunity. Stops at other seasonal attractions. Complimentary wine tasting including Niagara Falls famous icewine. Return to Toronto at the agreed time. 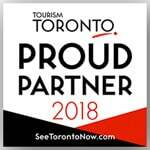 Pick up and drop off from the agreed location in Toronto or the Toronto area. Prices vary depending on the size of your group, and the activities you want to include in your itinerary (like the boat ride, Journey Behind the Falls or lunch for example). Upon sending us your booking request we will send you a quote to fit your needs. Please book as soon as you can so we can make sure to accommodate you at your requested tour date. Write in the comments section that you are requesting a private tour and any specific details you would like. Find out why hundreds of reviewers from Google, Yelp, TripAdvisor and Viator all gave us 5 stars! Book your tour today.